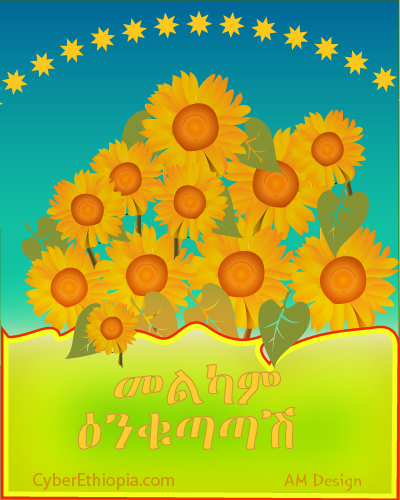 CyberEthiopia wishes you a Happy Ethiopian New Year. Do not forget to send wishes in Amharic/Tigrigna to relatives and friends from our Postabet. Please also take few minutes drop a Happy New Year message to Birtukan Mideksa, former judge and leader of the opposition Unity for Democracy and Justice (UDJ) party who has been jailed for life since December 2008.